The Siesta Beach Resort & Suites Is Ideally Located Just Across The Street From The World Famous Pristine White Sand Of The Spectacular Gulf Of Mexico And The Fabulous Siesta Village. Our Resort Is A Quaint Two-story Mediterranean Landmark Hotel, Nestled Within Historic Siesta Village And Steps From Florida's Only White Quartz Beach. A Perfect Place For Business Or Pleasure, Comfort Waits For You At The End Of The Day In The Tastefully Decorated Rooms, Including Standard Hotel Rooms, Jacuzzi Suites, Fully Equipped Kitchenettes And One And Two Bedroom Condo Style Suites. Service With A Warm, Cheerful Smile By Our Eager-To-Pplease Team Brings Our Guests Back Again And Again. Siesta Key Has The Whitest And Finest Powdery Sand In The World, Voted # 1 By National Geographic Magazine, Siesta Key Is A Tropical Paradise Considered The Most Beautiful Of Florida's Barrier Islands. Visitors To The Island Community Find It Alive With A Tropical Atmosphere, Blessed With The Worlds Finest Beaches And Filled With A Quaint Collection Of Boutiques, Specialty Shops, Galleries, Fine Restaurants And Clubs With Indoor And Outdoor Dining. This Island Always Offers Plenty To See And Do. Take Interstate 75 To Exit 205 In Sarasota, Head West On Clark Road. Turn Right On Midnight Pass Road. Bear Left On Beach Road. 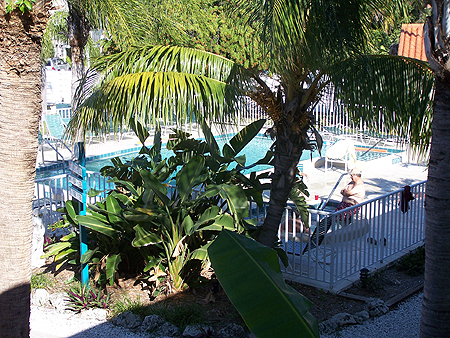 Proceed Three Quarters Of A Mile To Siesta Beach Resorts & Suites.